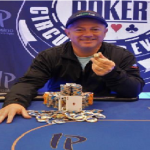 This was a perfect shot by a Portland’s professional poker player named James Romero who won prestigious world poker tour Five Diamond world poker classic main event at Bellagio Resort & Casino in Las Vegas for $1,938,118. 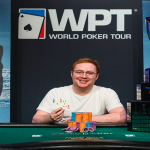 The runner up of the tournament was Ryan Tosec who earned an amount of $1,124,051. Romero was the chip leader on the final table and never let any of his opponents to cross him and ultimately becomes the champion of the title for the first time in history. 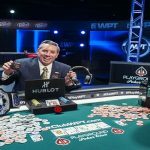 The Season XV WPT Five Diamond World Poker Classic Main Event took place in a great manner where players like Alex Condon, Ryan Tosoc, Justin Bonomo, Igor Yaroshevskyy and James Romero were at the final table. They all were eyeing to win this poker classic championship title because of the money involved in it. 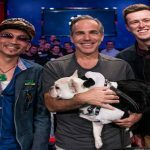 The $10,400 buy-in No Limit Hold’em event attracted 791 entries from around the world and became the largest WPT Five Diamond Main Event in tour’s history. The final day of this prestigious six-day tournament started on its scheduled time and the first player who got busted from the final table to sixth position was Igor Yaroshevskyy. He was out from the game at hand#59 playing against Romero. He pocketed $268,545 from the tournament for his sixth spot. Just after two hands another player named Justin Bonomo got eliminated to fifth position for a total winning share of amount $345,272. Three more hands took place and another player named Alex Condon hit the rail fourth place. Condon made $494,889 from the game. Three handed game included players such as Jake Schindler, Ryan Tosoc and James Romero. Remaining three players settled back in for long time. After at least 110 hands, Jake Schindler was the new man who hit the rail. He booked at third position for total $736,579 and left the field for rest of the two players. On the final hand of the game Tosoc moved all in for 1.975 million and Romero won the pot. 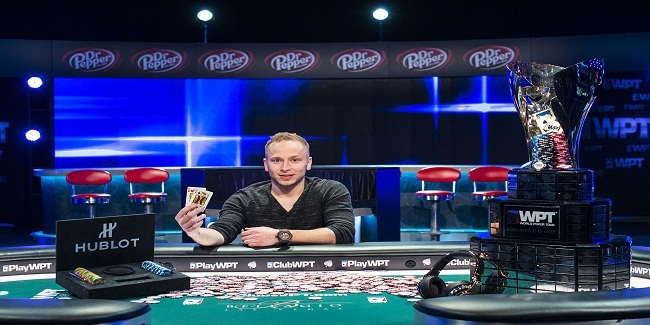 He collected first prize of amount $1,938,118, while runner-up Ryan Tosec pocketed $1,124,051 as winning total. The winner of this championship title will also get an automatic entry to $15,000 buy-in WPT Tournament of Champions.